Thu, May 30 - Mon, Jun 10. 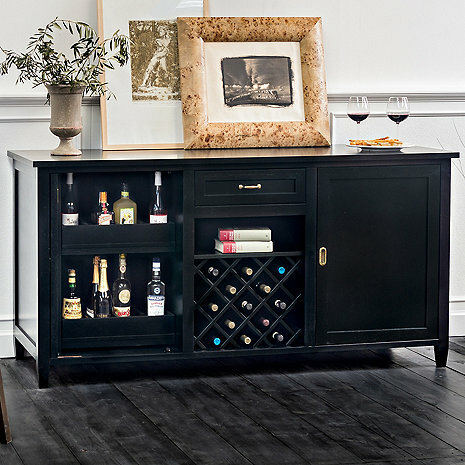 Firenze Wine and Spirits Credenza (Nero): For the wine cooler cabinet side, wanted to know the largest dimensions of wine cooler it could accommodate? Would I be able to install a cooler on the right side of the cabinet? Absolutely beautiful piece of furniture!! We are enjoying the wine refrigerator as well!! This credenza has lots of storage space for other items too. Overall construction, B, B+. Slides and other hardware could use an upgrade to match the rest of the overall construction. Adding heavy duty ball bearing slides would make this an A+ piece of furniture.